Our little church in Ballintuim is one of the beauties of our diocese. Up to Bridge of Cally from Blairgowrie – carefully avoiding the weekend bikers who seem determined to risk life and limb on these beautiful roads which are lined with very solid trees – and then up the glen to Ballintuim. Today of course the wind was ripping the branches from the trees as we drove. The congregation here is delightful. They think they are a small congregation but it is quite possible to go there and find fifty people in church. 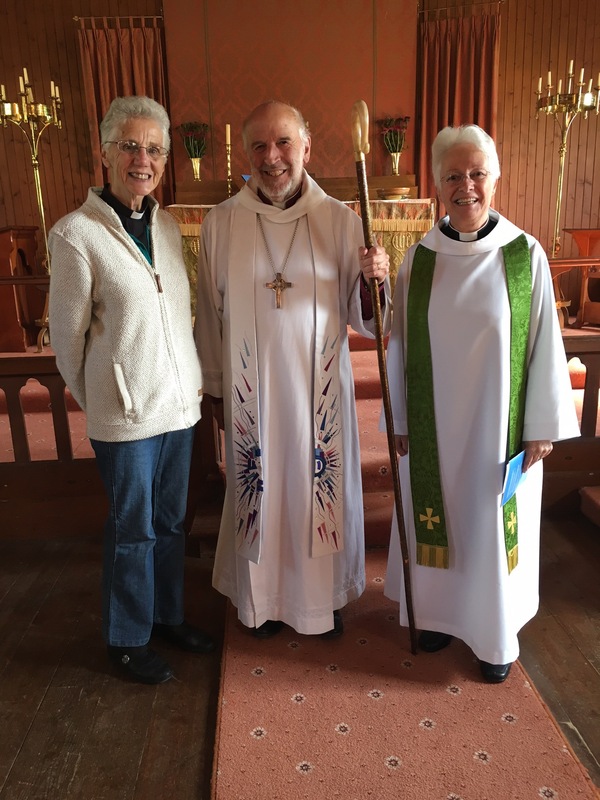 They have been gradually moving towards our ABC group but they still receive some of their ministry from visiting clergy who come and stay in the church cottage. So when I went there this morning, I found Anne Marie and Isabel who are Anglican religious sisters who do a house for duty in Dorset. If I had known about them before I got there and had a chance of a chat, I could have scrapped the sermon and had a dialogue with them. They are on their own next Sunday!